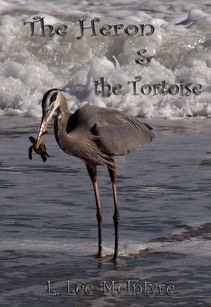 A little fable I wrote about a heron who decides to wander to the sea and learns a lesson from his encounter with a tortoise. Illustrated with 27 color photos taken at Indialantic Beach, Florida, U.S.A. and along the Talvera River, Bolzano, Italy. Prints of the photos are also available for purchase; contact me for pricing and availability. All images ©2007-2015 L. Lee McIntyre, unless otherwise noted. No material may be used without permission.